Real Actual/MEDIA is your source for a variety of media development services. 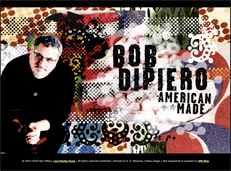 For the past 20 years, Bob DiPiero has helped define the best that is Music Row. He is, also, a key part of the city's new leadership, a board member of the Country Music Association, a Leadership Nashville alumnus and former Nashville Songwriters Association, Inc., president who brings the creative and business communities together as few can. Writing with Neil Diamond, Carole King, Johnny Van Zant and Delbert McClinton, among many others, Bob is one of Nashville's most consistent and prolific writers of hits, and he remains at the top of his profession more than two decades after hitting #1 on the charts for the first time in 1983. His recent hits include Tim McGraw's single and title track, "Southern Voice" and Brooks & Dunn's "Indian Summer." ARB Sites is a subsidiary of Real Actual. "I was looking for an artist, a professional who had the ability to understand the needs of the business I was in. I am very happy I found Alan, and have already decided to continue to use him for my future projects, editing my current website and even the design of my business cards...Thanks!" "The website that Alan built for us is truly more than we had ever expected! He had a clear vision for what it was going to look like and paid attention to every small detail. Alan is not only my web designer and guitar teacher, but a fantastic singer and songwriter as well! He is very talented and highly respected by anyone who meets him. It is very hard to find someone that is genuine and true to their word. It is always a pleasure to do business with Alan, and I will continue to do so in the future. Thank You!" 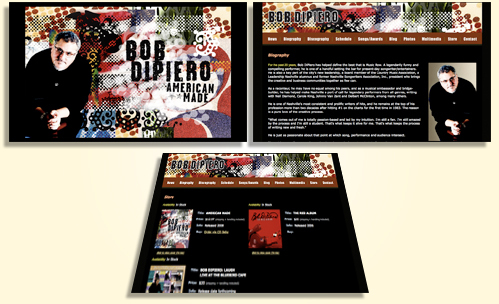 The Real Actual/MEDIA division evolved from ARB Sites, a custom website company started in a small apartment in New York City's east village in 2002. We are, currently, located in Nashville, Tennessee.